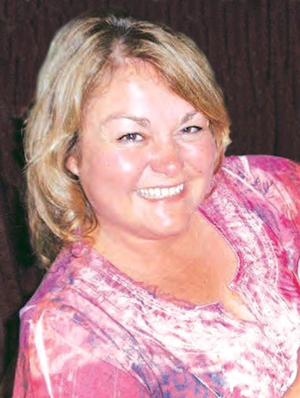 Obituary – Edgar, Kay Lynne « Perry High School Alumni Association, Inc. Band, Stagehand, F.C.A., F.T.A., Girl’s State Alt., All School Revue, OSU Honors Banquet, Newspaper Staff, Annual Staff, Student Council Rep., Nat’l Honor Soc., Superintendent’s Honor Roll, Powder Puff Football, Court Maid, All Senior Honor Band, McDonald’s Band Nominee, “Most Flirtiest” Sr.
Kay Lynne Edgar, 54, of Oklahoma City, passed away Sunday, May 20, 2018 surrounded by loved ones. She was born to Earl Edgar and Melva Edgar, October 26, 1963, in Perry, Oklahoma. 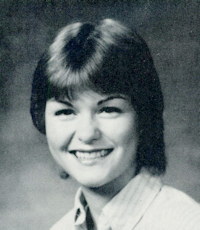 Kay graduated from Perry High School in 1981 and received an Associate in Applied Science Management from Oklahoma State University – Oklahoma City (OSU-OKC). Kay had a successful career in real estate and customer service. Most recently she worked at OSU-Oklahoma City in the Workforce Development office where she leaves behind many friends. Kay lived with courage and conviction. Above all, she was kind – fostering animals, helping strangers, and opening her home to those who needed shelter or their spirits lifted. She had a passion for traveling, whether she was going through Oklahoma or across Europe. Her daughters Katelyn and Chelsea were the lights of her life, and together they had beautiful adventures. Her infectious laugh, smile and spirit will live on in them and her beautiful grandchildren. Kay always stood against injustice, and spent her time and energy working on behalf of those whose voices or rights were diminished. Kay will be lovingly remembered by her children Chelsea (Jared) Burns of Yukon, Katelyn Tanimoto of Bethany, her granddaughters Braylen and Kenzley Burns, her mother Melva Edgar of Perry, sister Gwen (Gordon) Johnson of Perry, brother Bobby (Nancy) Edgar of Perry, stepchildren Shawn Tanimoto , Shannon (Brett) Fisher, their children Brianna, Brennon and Skylar, her partner in life and love Matt Tasetano, and many nephews, nieces, aunts, uncles and cousins. Kay was preceded in death by her father, Earl Edgar.